Eight food-focused, growth-stage ventures to participate in accelerator program to take their businesses to the next level and work toward cultivating a better world. Chipotle Mexican Grill today announced the first class of the Chipotle Aluminaries Project, a seven-month-long accelerator program sponsored by the Chipotle Cultivate Foundation in partnership with Uncharted, both nonprofit 501(c)(3) organizations. 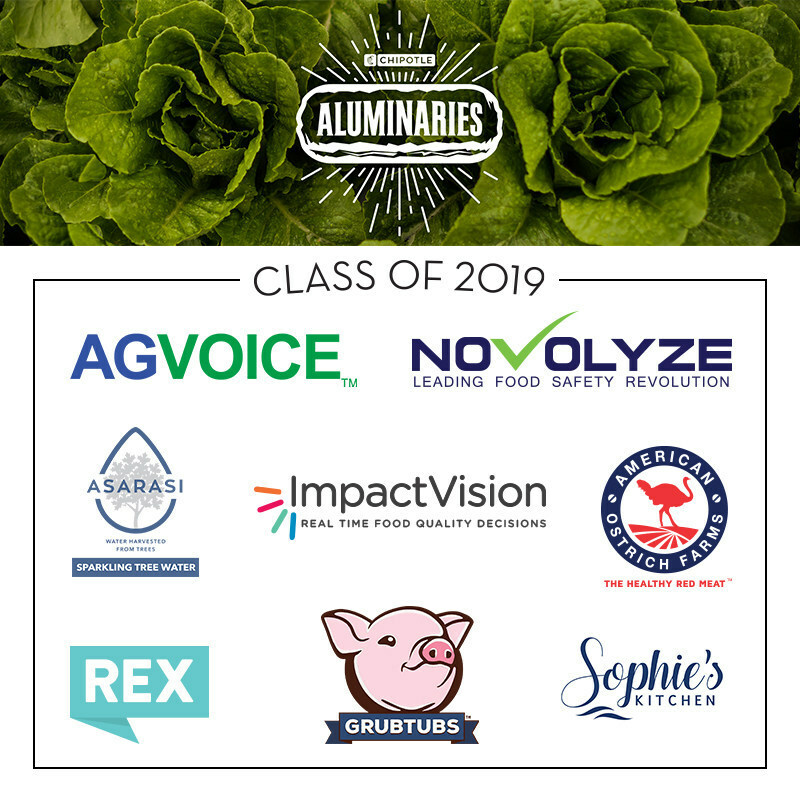 The Chipotle Aluminaries Project is part of the company's larger efforts to invest in the future of food with integrity and will drive positive change in the food industry by offering eight growth-stage ventures the resources needed to grow and make a positive impact at scale. Each venture will receive mentorship and direct coaching from world-renowned industry leaders, participate in a boot camp, obtain a special Chipotle card with free burritos for a year, and be powered by Chipotle catering as they take their businesses to the next level.